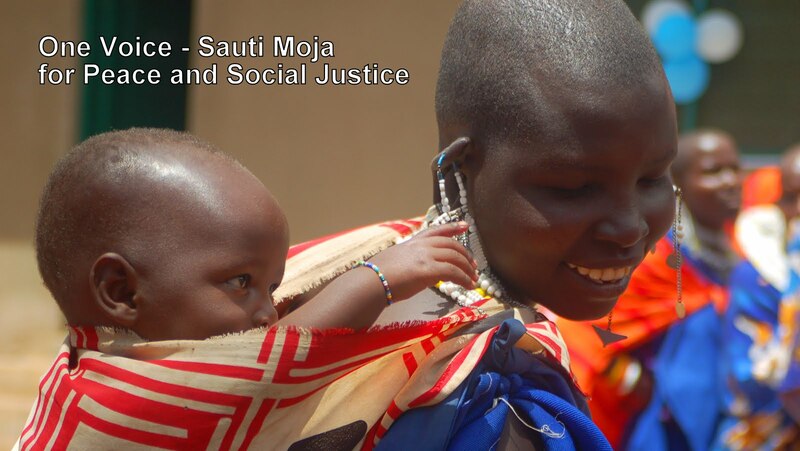 Many friends of Sauti Moja know of Sarah Mollelian, a Maasai lady with a passion for education of Maasai children from rural villages. They associate her with founding two preschools – one in Longido and the other in Oltepesi. Some know that this is her second career; after retirement as a teacher in the government system, she was inspired to try the Montessori approach in expectation of greater academic success for children as they transition from village life to a foreign environment where Maa is not spoken, learning is by rote, teachers are strict, and they feel confined. Sarah is seen here visiting with Sinyati who had been sick with severe oedema. Sara arranged for medical care, and as Sinyati was diagnosed with TB, Sara followed-up with Sinyati's mother to ensure that the mother understood proper administering of medicine. 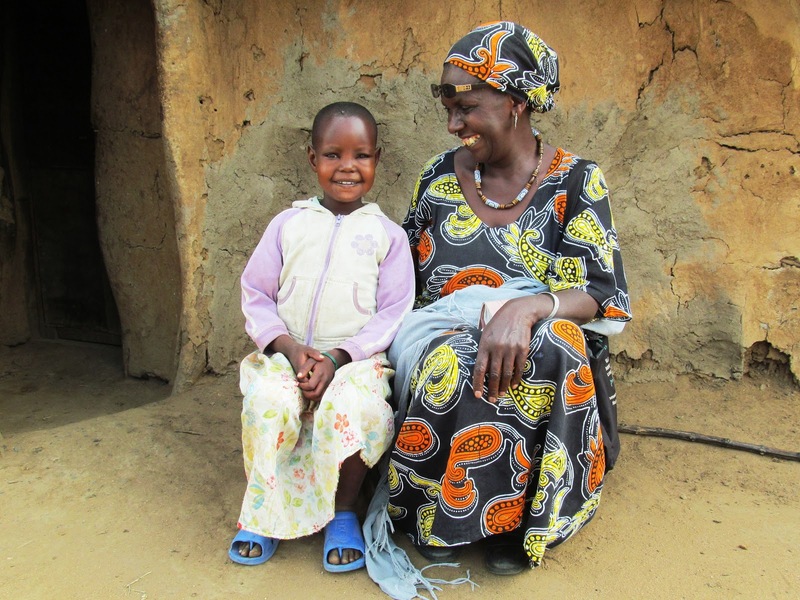 Sinyati's health has improved and is happy to be able to attend school again. Monitoring child health is an important part of the day to day care provided to Sarah's young students and is supported through your subscription to Kids4Kids (see right-side margin). Visitors to these Montessori preschools are impressed with the quality of education, find the children endearing, and note the care provided by Sarah and teachers. Many visitors decide that to support ‘Sarah’s classroom’. However, few of us actually know ‘Sarah’s story’, which I determined to investigate. When I asked Sarah about the main influences on her life, she immediately narrated the story of her father, Daniel Kinasha, who was a keen learner and inspired, determined visionary. It seems that Daniel first demonstrated these traits when he had his first child, Sarah, and was working as the houseboy for racist Afrikaners near Mount Meru. When he learned that the lady planned to keep him and his children as house staff, he was highly offended, so packed up his family and fled. However, working on the Afrikaner estate was not all bad. 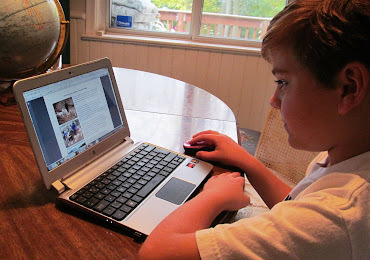 Daniel had sought help from an old man who taught him to read and write in both Swahili and Maa. Further, Daniel became a pastor who also taught the 3 R’s to children and literacy to adults. And, he was impressed that the people that he worked for educated their girls. I now understand how Sarah became an educator and visionary into her ‘retirement’. Sarah was obviously heavily influenced by her father, Reverend Kinasha, and of course, as the eldest child greatly desired to please him. She says that he never compromised in his quest for development, improvement, and a better life. He brought up his children to excel, and have better opportunities. Sarah remembers him as a strict disciplinarian who wanted purposeful children. In fact, he told his children that “the only inheritance he could leave them was education…” And, it wasn’t just words: he sold their radio for Sarah’s school fees, and another year, he sold his bicycle, which was his only mode of transportation. I gained further insight into Sarah’s respect and passion for education. Reverend Daniel was a crusader for spiritual and material support to his people, as well as changing the mindset about education, including the education of girls. As a church leader, he demonstrated the possibility of keeping one’s culture and embrace development. He encouraged new converts to keep their culture, and encouraged the use of vernacular in the Church at a time when many missionaries were still attempting to Westernize Christianity. 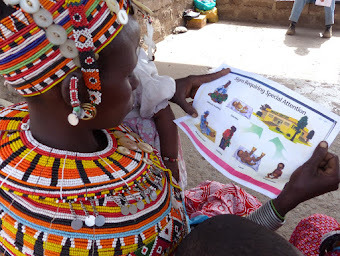 Sarah’s reflections explained why she strongly embraces her culture and has elders provide lessons, while striving for something better for the children in the expectation that they too will contribute to their own communities. Unfortunately, Sarah has also had much heartache, but this has not deterred her focus on a good education and brighter future for all children. One son, a teacher, died due to inadequate medical services in a remote location. Another son had an inoperable heart defect and required hospitalization for extensive periods. Because she was spending too much time caring for this child, Sarah’s husband sent her back to her family. She is so grateful of the family support while caring for five children. Her three remaining children, two of which are teachers, are a source of pride. But like grandmothers everywhere, she dotes on four grandchildren, whom she says, “...help fill the gap in my heart”. Sarah is truly the child of her father – a determined visionary for her Maasai people. As I reflected upon her life, I understood a bit of the anguish that Sarah must feel when we have discussed shutting down a classroom due to lack of funds. That reality gives her sleepless nights. Her vision and the success of her preschools, justifies our appeal for your support of www.sautimoja.org/pdf/Kids4Kids.pdf - a low-cost sponsorship of ‘her’ schools and opportunity to learn more about the lives of Maasai children.